You drive a BMW. You are obviously a member of that elite class of drivers who know just how to strike the perfect balance between sport and luxury. Whether you lease or own your vehicle, your BMW makes a statement about who you are as a person. Have you stopped to consider how to protect your automotive carpet from needless spills, or everyday weather related debris? You essentially have two options: OEM or aftermarket. 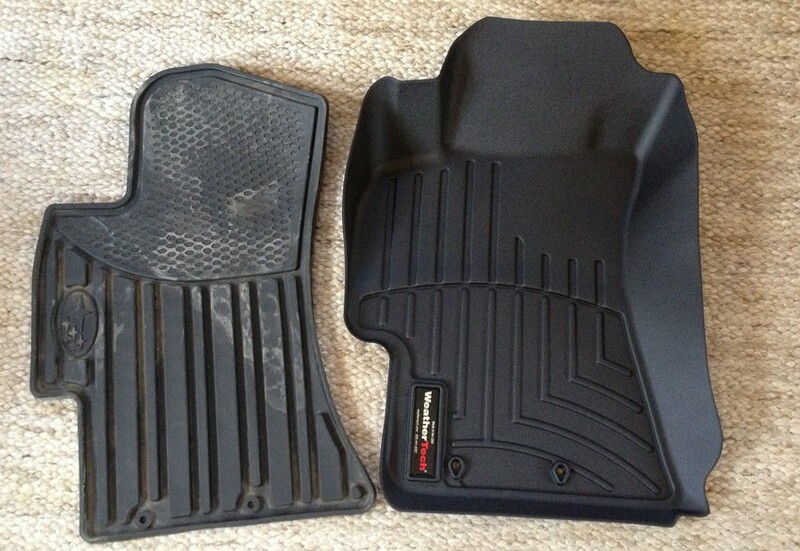 Some of the obvious advantages of OEM floor mats are that they are made for your vehicle. OEM mats will always match the rest of the interior. Plus, they may have the BMW logo on them. In spite of this factory look, OEM floor mats are not very effective at protecting your valuable investment. One single episode of running to your car in the midst of a thunderstorm could leave a permanent stain on your automotive carpet from mud, sand, oil, or whatever else may be clinging to the soles of your shoes. Plus, if you ever have passengers in your car, they’ll track in all sorts of debris. No one is more particular about your car than you. The other alternative is aftermarket floor mats. Many people who drive lesser cars than a BMW may opt for an aftermarket set of floor mats in order to save money. After all, the OEM floor mats can be quite pricey. However, as a BMW driver, your consideration of aftermarket floor mats are not simply for the purpose of price shopping. Rather, you are interested in how you can obtain better protection for your vehicle than what your standard OEM floor mats provide. WeatherTech Floor Mats offer the protection you need in order to protect your investment from the hazards of everyday life. When you protect your BMW with WeatherTech All-Weather floor mats you’ll have the advantage of deeply sculpted channels designed to trap water, road salt, mud, sand, and even the occasional spilled Venti Mocha Cappuccino. If all you have are your OEM floor mats, you’ll have a huge mess to clean up anytime you use your car in everything but the most perfect weather conditions. WeatherTech All-Weather floor mats relieve you of that concern so you can concentrate on more important things, like driving that awesome machine for all its worth. If you are the type of person who demands absolute perfection in the fit and finish of your car’s interior, you’ll want to check out the WeatherTech FloorLiner product. Digital laser measurements are taken to fit the exact model of your particular BMW. The WeatherTech FloorLiner accurately and completely lines the interior carpet up the front, back, and sides of your car’s footwell. The FloorLiner product contain the same deep channels found in the WeatherTech All-Weather product, but with a more highly customized fit. Regardless of how much you love your car, the day will most likely come when you will want to upgrade to a newer model. Wouldn’t you like your car’s interior to be “factory fresh” when transferring to the new owner? This extra step could mean the difference of hundreds or thousands of dollars in resell value. While you certainly have options when choosing your floor mats, the clear choice for the ultimate protection of your “Ultimate Driving Machine” are WeatherTech aftermarket floor mats or the full carpet FloorLiner. You deserve the best. Choose WeatherTech.